It seems like everywhere I look online, especially sites like Pinterest and Facebook, I see pictures of infused water recipes. 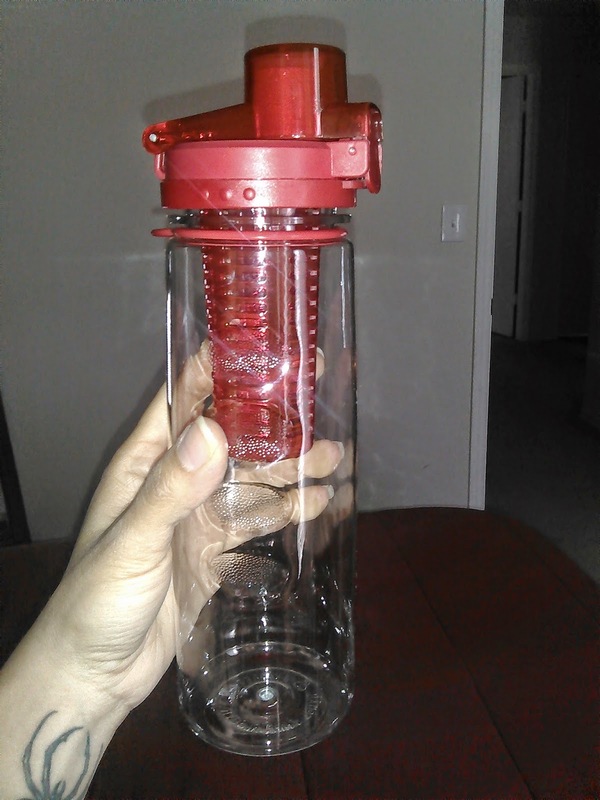 The FlavFusion bottle is a new way to make your own naturally infused water at home. Check out this awesome bottle! I have an older version of this water bottle, but this particular one is superior in many ways. 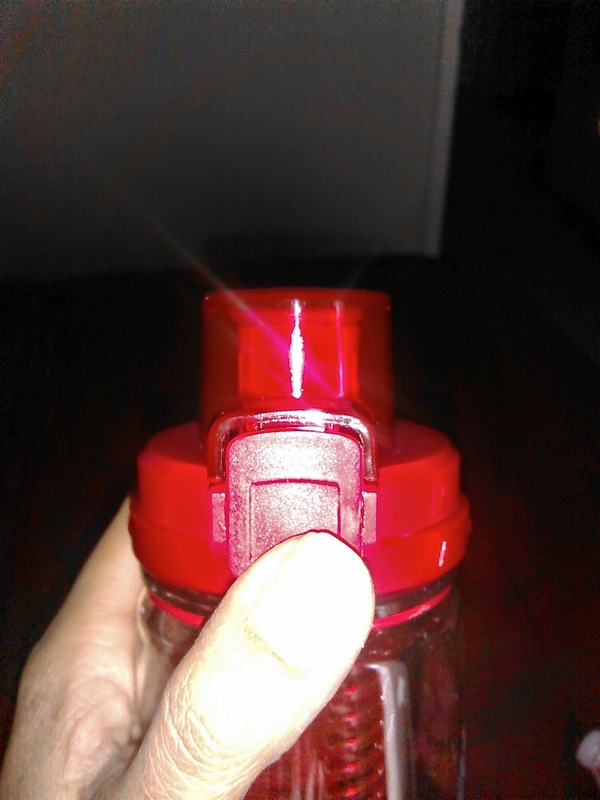 Not only does it look nicer with the bright red lid (my favorite color, by the way), the size of the bottle is great, and the locking pop lid is a great addition as well! I love it because it doesn't leak one bit. 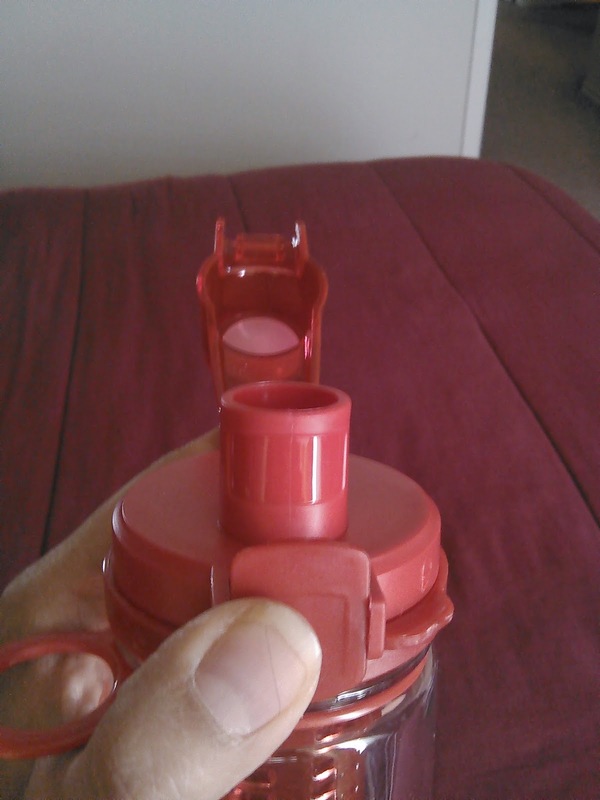 I also think it's pretty awesome how you can add your fruit or veggie of choice into the chamber. There is quite a bit of room, so you can use a good amount of fruit or veggies. This is such a healthier alternative to buying those flavored waters in the stores, since they are usually filled with a ton of sugar and who knows what other extra ingredients. 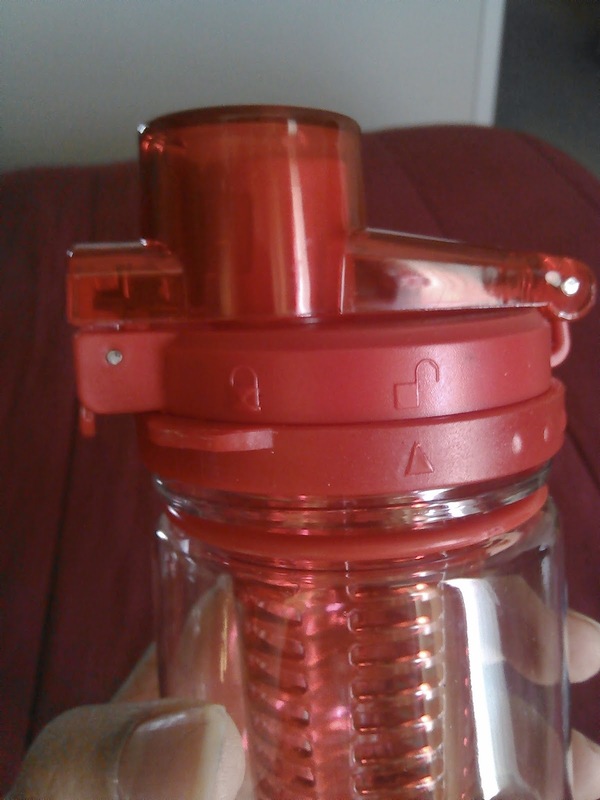 With the FlavFusion bottle you can enhance the flavor of your water naturally. 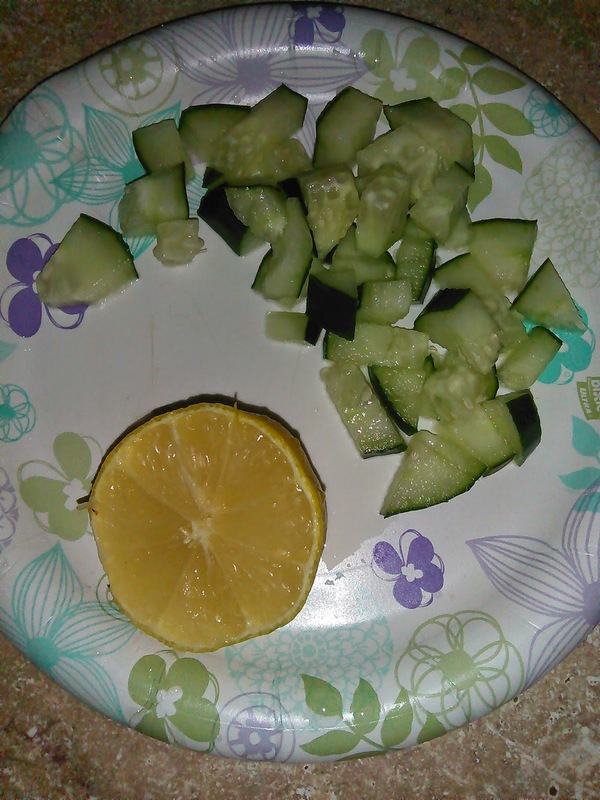 I've tried cucumbers, lemon, peaches, mint leaves, berries, kiwi, cherries, and more. 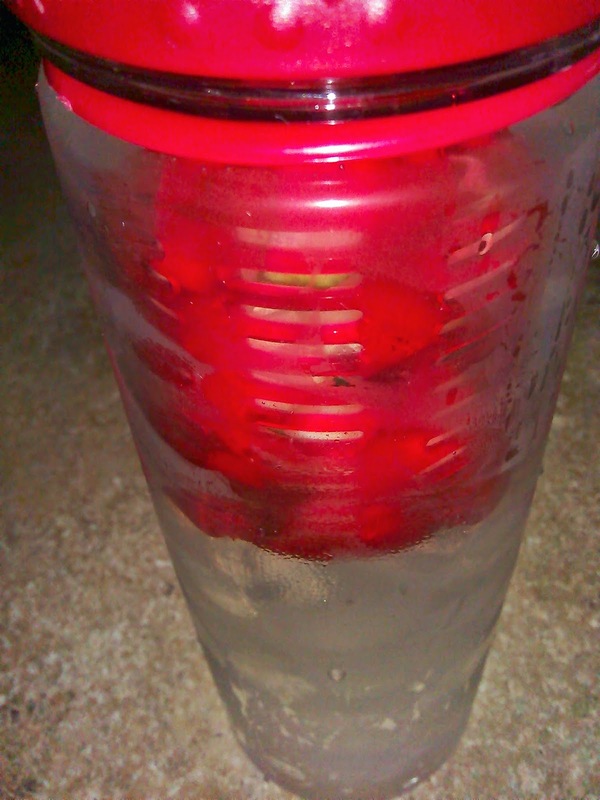 I like to let them sit in the fridge for a couple of hours so that the water really absorbs the flavor.